The cliché use of green pasta for tree leaves reveals this as the work of a first-time macaroni artist. Not just anyone can take up the noodle and produce art worthy of recognition. If you wish to be a genuine macaroni artist, you must live by these immutable laws of creative mastery. To do otherwise is to allow the craft to be infiltrated by amateurish pasta in gaudy masquerade. Works such as this reflect a superficial understanding of the noodle’s nature. The true macaroni artist is revealed when his mother first imprints a noodle against the veil of her womb. If he* is one of the chosen few, he strives through his fleshy submersion to feel the pasta’s elegant curves and precise balance. From that instant to his eventual demise, he knows that only glitter and macaroni can fulfill him. No biography of a real macaroni artist is too brief to describe his youthful passion for elbow noodles. Of course, youthful efforts will be futile, for true macaroni art requires the weight of maturity and trials of experience. Once he reaches his middle years, he achieves the restraint for true art. However, he is complacent and therefore his works fall short. Finally he sets into his last years, wherein he truly understands glitter and glue. Alas, his ideas are of a fading era, and so he lacks the innovation genuine macaroni art requires. Sadly, those who are not gifted from the womb had best abandon their macaroni for more achievable pursuits. Inborn talent is required for the art of the noodle. As many infallible professors will attest, a teacher is powerless to instruct students who do not innately possess the skills that must be taught. A brazen display of laziness resulting from a dearth of devotion. 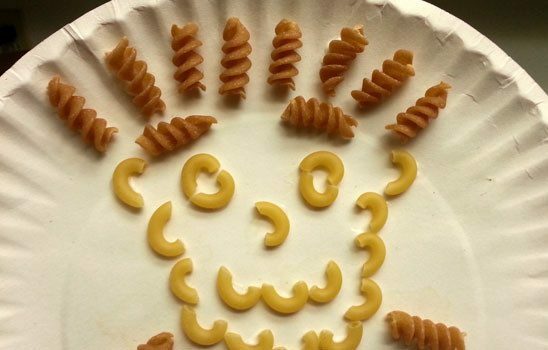 Real macaroni art is a lifelong endeavor. Squeezing forth the perfect blob of glue, aligning each noodle by the golden ratio, tilting every speck of glitter to the optimum angle: the mastery of these tasks requires every waking moment and more. Indeed, the so-called macaroni artist who indulges in a full night of rest should cease the arrangement of pasta altogether. 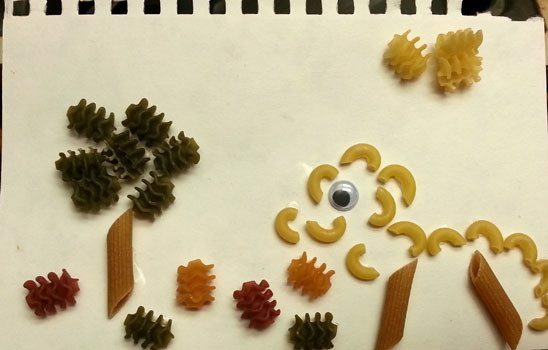 When a prospective amateur voices a desire to retire into macaroni art or conduct it as a mere hobby, the true pasta initiate sees this for the vile insult it is. 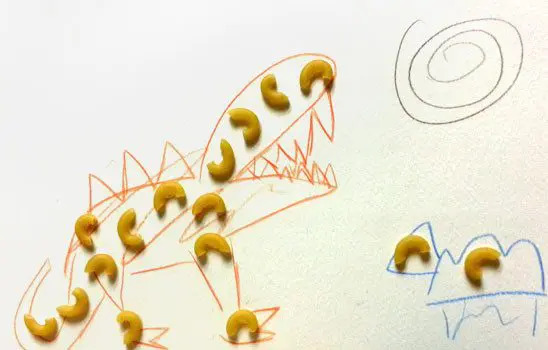 From his trial in the womb, he has always known that real macaroni art demands a daily planting of tear-filled noodles, in wretched hopes of bountiful harvest. How dare a dabbler fail to understand and acknowledge the sacrifices required? A true macaroni artist does not engage in such frivolity as “work-life balance.” Doing so elevates children and household maintenance above the divine calling that is the noodle. It is a betrayal of the art. False sentimentality is a sign of an amateur. To create true art, a macaroni artist must avoid the pitfalls of a cheaper mind. The true macaroni artist never wonders about the origin of human ideas or how to sort the worthy concepts from the chaff. He merely expresses the Truth he knows from his own existence. He gathers this Truth from daily life, and pours it onto the canvas through spaghetti, rotini, and googly eyes. The genuine macaroni artist never indulges in self-flattery by recreating himself in his work, nor does he burden his art by promoting the agenda of his demographic in the name of some “silenced perspective.” While the human condition is the basis of all pasta masterpieces, only a tasteless amateur will imbue wasteful sentiment and social frivolity into a realm best reserved for works of pure intellect. Every real macaroni artist has a unique style of arrangement from which he can be identified, one which belongs to him alone. Of course, such unique expression of noodle can rarely be described and never taught. However, any genuine macaroni artist that sees its form will recognize it at once. Shameless pandering to corporate interests. If macaroni art is assembled with impure motives, then the pasta will become a mere shell, superficial and soulless. It matters not how meticulous the supposed macaroni artist is, if he wields the noodle in pursuit of money or fame, his narcissistic desires will betray him. A plethora of sales is the calling card of a hack, a pasta embezzler who uses cheap sentiment to lure the masses to his poor imitations of the craft. Every noodle placed in deference to mass demand for simplistic neatness and ready interpretation relegates his work to poverty of merit and obscurity of recognition. 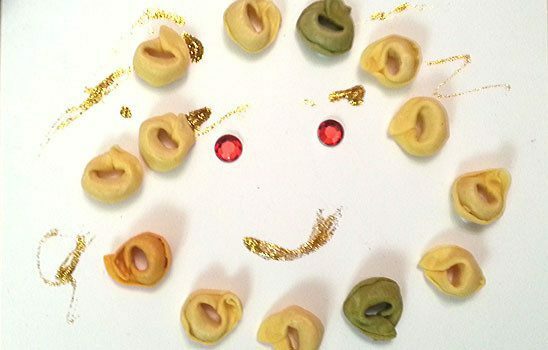 The real macaroni artist only sprinkles glitter and blobs glue in order to realize the perfection which divine masters of the noodle have achieved. If he is a genuine macaroni artist, ample payment for his ceaseless effort will be bestowed on him. This distinguishes him from the wanting amateur. It is time to admit what you have always known: you are a fraud. At any moment you might be stripped of your pretentious guise and cast out, never selling your work or receiving a favorable review. Your only protection against such an eventuality is to purchase all of my books, read all of my articles, and attend all of my workshops. 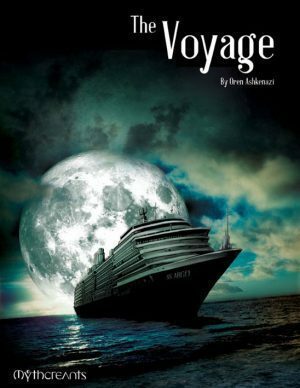 Lap up every list of amateur, first-timer mistakes, so that you may constantly guard yourself against those who might discover your true nature. When another macaroni artist shows weakness, stand forth and declare their inferiority. It is imperative that you mimic a true macaroni artist, because you’ll never be one. By “he” I mean to imply any macaroni artist, though naturally I assume any true macaroni artist uses this pronoun. You mock my peerless wisdom? Clearly you are not a true devotee of the macaroni, but a mere dilettante. I want to construct a scale model of a Lancaster Bomber out of macaroni. Is this feasible or mere folly? Making a Lancaster Bomber out of noodles certainly sounds like it would be the most important thing in your life, so you’re on the right path. But beware, if you ever receive any kind of compensation for your macaroni bomber, it means you are not truly one with the noodle. Not one mention of Pastafarianism? Blasphemer! How dare you mention the holiest of arts and not discuss the Spaghetti Monster in all His Glory! There’s a special place in a boiling pot of marinara for the likes of you I dare say. A hack like Berry Trooks has no business saying he loves the art, let alone giving advice to other artists from some imagined lofty height of macaroni wisdom. 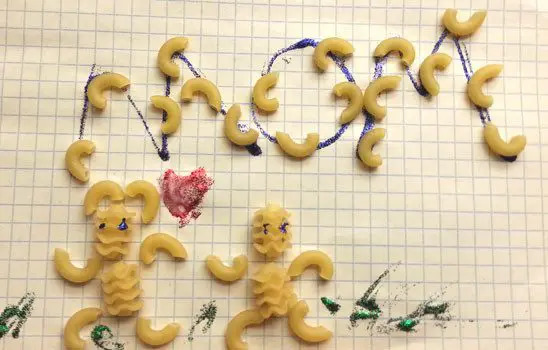 If he truly loved pasta art, he’d stop ripping off T.R.R Jokien and create something better than the derivative, watered-down schlock he routinely churns out.